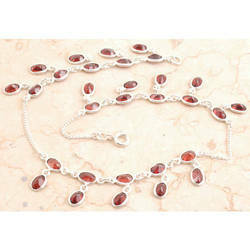 Our range of products include anklet in 925 sterling silver. Our company is widely acclaimed in the manufacture and export of Anklet In 925 Sterling Silver. These sets are manufactured and designed by our highly experienced expert team with high quality of raw materials. In addition to this, these sets are available in various ranges and sizes.